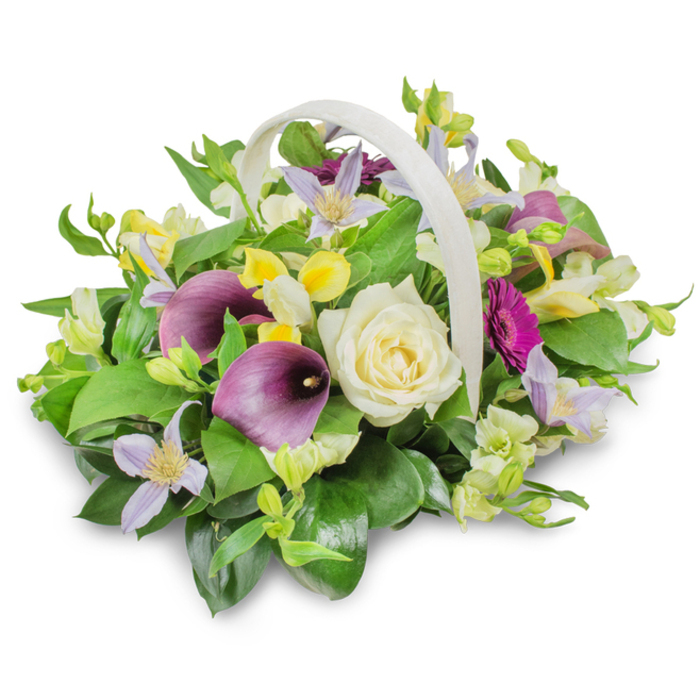 Lovely roses, purple calla, germinis, irises and alstroemeria are combined to create a funeral basket that will help you express your sympathy and offer comfort in those difficult times. 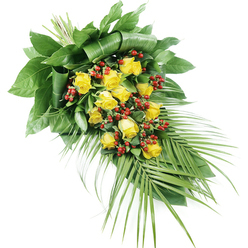 The florist helped my family a lot. They were very understanding and wouldn't mind responding to all of our questions. We really appreciated everything they did. They were very nice on the phone. The flowers were extraordinary. Will use them again. 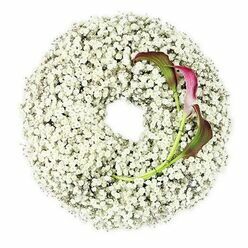 The flowers that were used by the florist were fresh, extremely beautiful and placed very well to ensure they arrive safe. The card was also beautifully prepared. Thanks a lot for the flawless service! 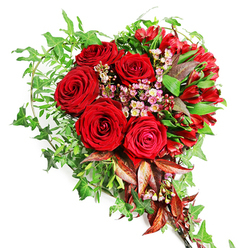 What a wonderful combination of flowers! 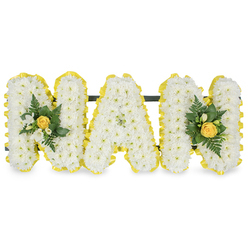 Ordered this basket for a funeral in London and the family of the deceased couldn't stop expressing their appreciation. 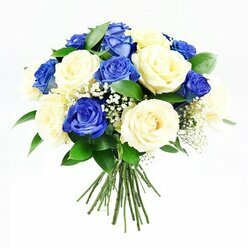 Thank you so very much Handy Flowers!!! 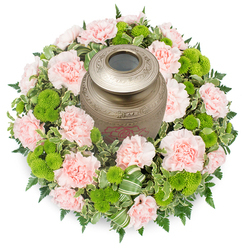 The sympathy flowers really touched the widow's heart. We are all grateful and very appreciative of that.